After the delicious success that was my Caramel Chocolate Ripple Cake Christmas Wreath, I didn’t need much of an excuse to make this yummy dessert again for a recent BBQ at home. 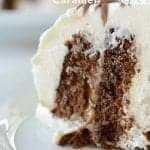 This really is the ULTIMATE Chocolate Ripple Cake and our guests were pleasantly surprised to find gooey caramel inside the cake as well. 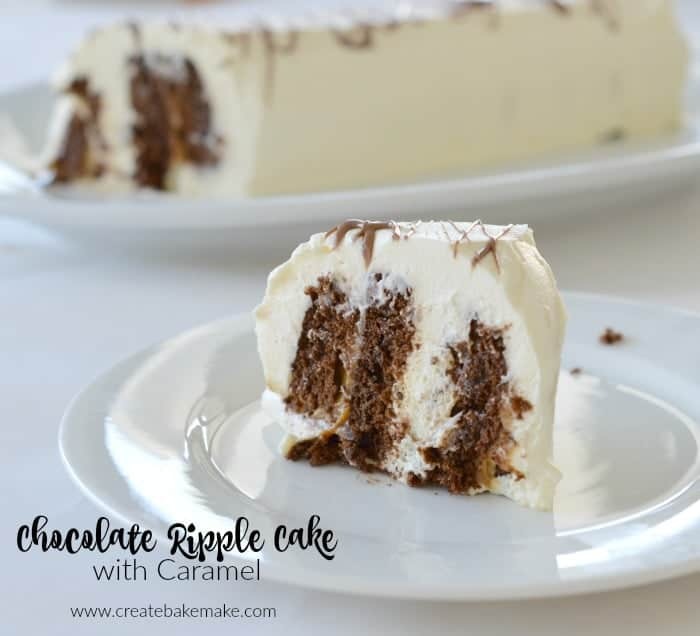 This Chocolate Ripple Cake really takes no time to make and is best made either the day before/morning of when you need it as it’s essential you let the cake rest for 6 – 8 hours to allow the yummy cream and caramel to soften the biscuits. You could drizzle the milk chocolate over the top of your Chocolate Ripple Cake when you first make it, however I think it’s easier to leave it until you are ready to serve, that way the chocolate hasn’t set and doesn’t crack when you cut through it. Pour the Caramel Top & Fill into a small bowl and use a small whisk to mix until smooth. Set aside until needed. Pour the thickened cream into a large bowl and add the icing sugar and vanilla essence and use an electric hand mixer to whisk the cream until soft peaks form. Place a large serving plate onto your bench and place a little of the whipped cream onto the base as this will help support your filled biscuits. Place a little cream between two chocolate ripple biscuits and stand them on your plate in the cream. Smear some of the Caramel Top and Fill onto the base of another chocolate ripple biscuit and sandwich it next to one of the chocolate ripple biscuits already on your plate. 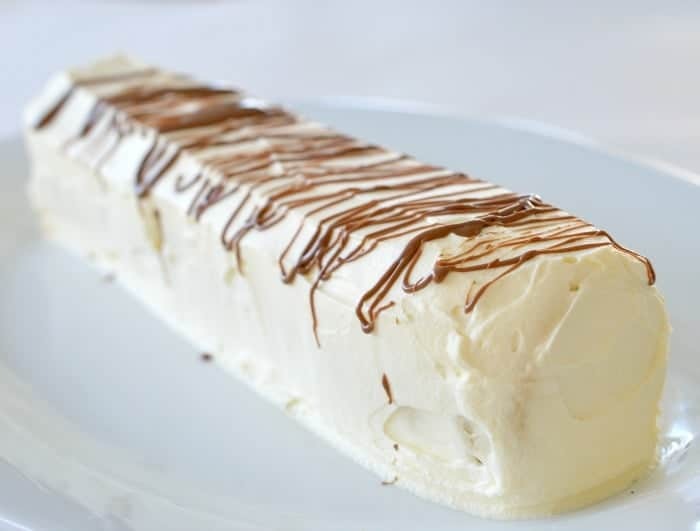 Repeat alternating between cream and caramel until you have completed your Chocolate Ripple log. Carefully cover the cake (I find it easiest to use toothpicks to hold up the cling wrap) and place it into the fridge for a minimum of 8 hours to allow the cream and caramel to soften the biscuits. When you are ready to serve your Chocolate Ripple Cake, drizzle the melted milk chocolate over the top and serve. 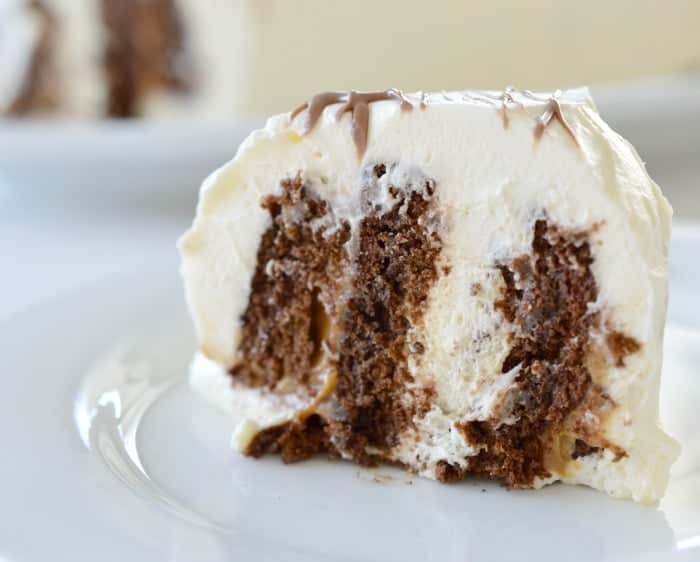 Have you tried this Chocolate Ripple Cake with Caramel yet? 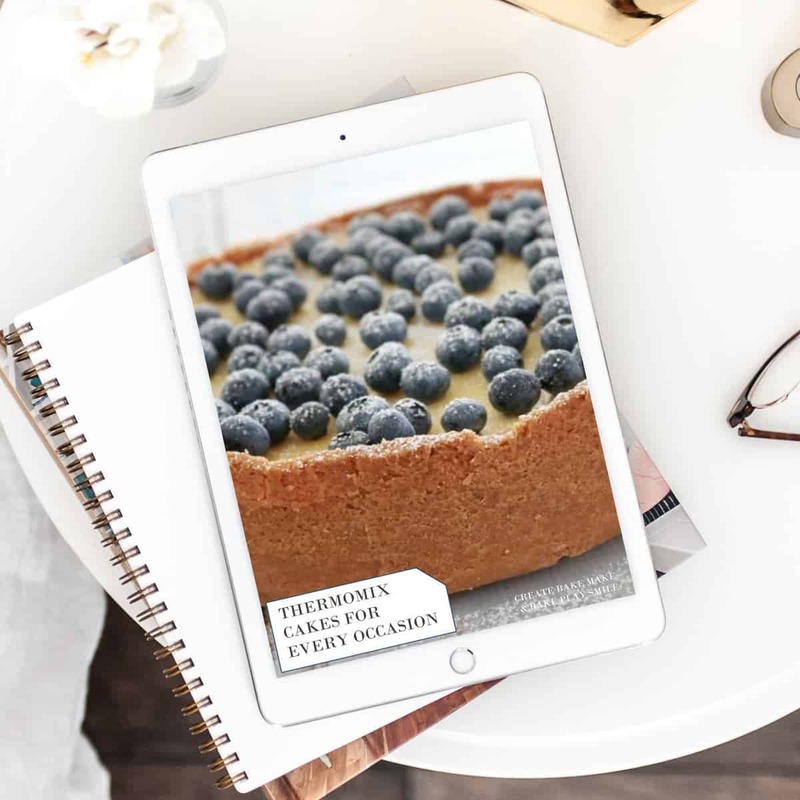 For more sweet treats, make sure you check out our eBooks, especially our Cakes and Cheesecakes for every occasion – also available in a Thermomix version! On thanks so much Lisa, you really should try it! That chocolate ripple christmas wreath was ridiculously tasty. I’ll definitely be making this for the next special occasion I have.. I really shouldn’t read your blog when I’m hungry Lauren. Man this look good!!! I use butternut snap biscuits instead of chocolate ripple biscuits. Sometimes I crush honey comb in the cream too. That sounds amazing Heather, I’m going to try that combination next time!